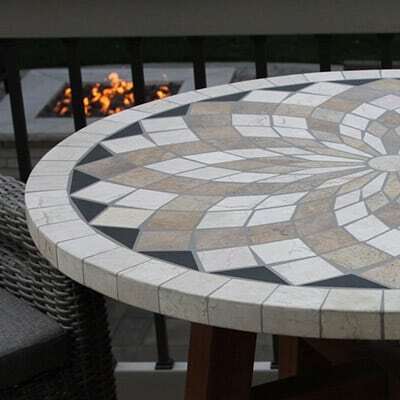 The Outdoor Interiors 4pc. 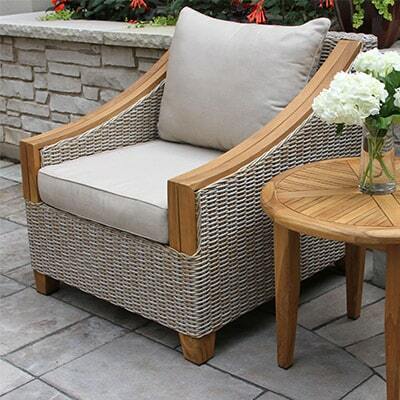 Teak & Brown Wicker Seating Group is our latest and most elegant set in our product line today. 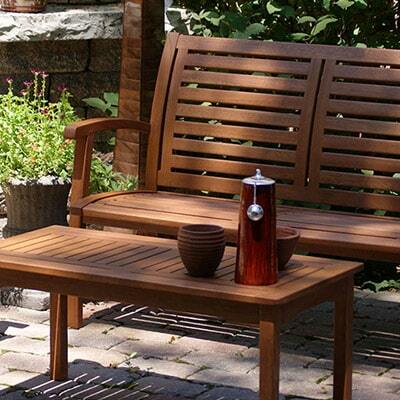 This Teak and Brown Wicker Seating Set is made from plantation grown FSC Brazilian Teak hardwood and HDPE All-Weather Wicker for long-lasting outdoor use and outstanding durability. 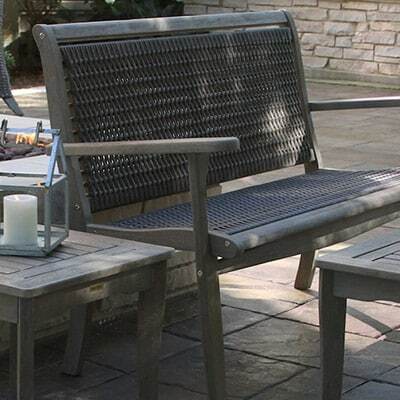 The brown and slate tone wicker is hand woven around a powder coated aluminum frame and includes stainless steel hardware for withstanding the harshest outdoor elements. 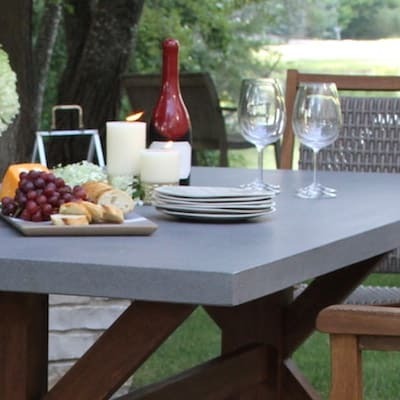 The cushions and pillows are dressed with Sunbrella fabrics that are mildew resistant, quick drying & UV stabilized for lasting sun protection.